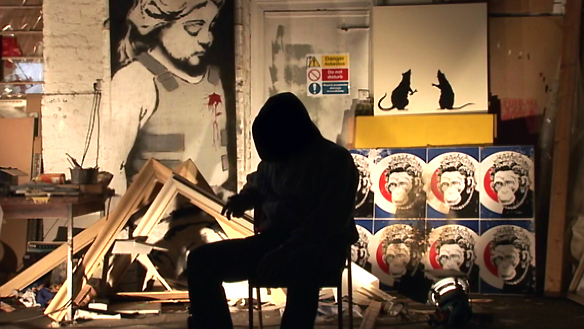 Entries tagged with “The Social Network”. The New York Film Critics Online, of which I am a member, met today to single out the best 2010 had to offer. 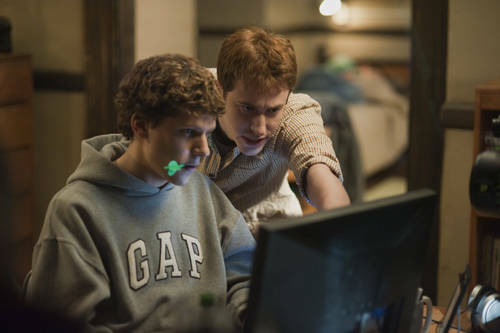 To no one’s great surprise, The Social Network took home the big three awards–Screenplay, Director and Picture. But we did spread the wealth around a little, handing Actor to James Franco for his terrific turn in 127 Hours, Actress to Natalie Portman for her poised work in Black Swan (although, to be honest, I was pulling for Blue Valentine‘s Michelle Williams or Another Year‘s Lesley Manville) and Breakthrough Performer to Noomi Rapace, the best thing about the film versions of Stieg Larsson’s Millennium Trilogy. The win I was most thrilled about? Exit Through the Gift Shop‘s squeaker victory in the Documentary category. The win I was least thrilled about? John Wells as Debut Director for his solid, but unremarkable drama The Company Men. Read the full list of winners–as well as NYFCO’s collective Top 10 of 2010 list (not to be confused with my own list, which I hope to post here within the next two weeks)–after the jump. 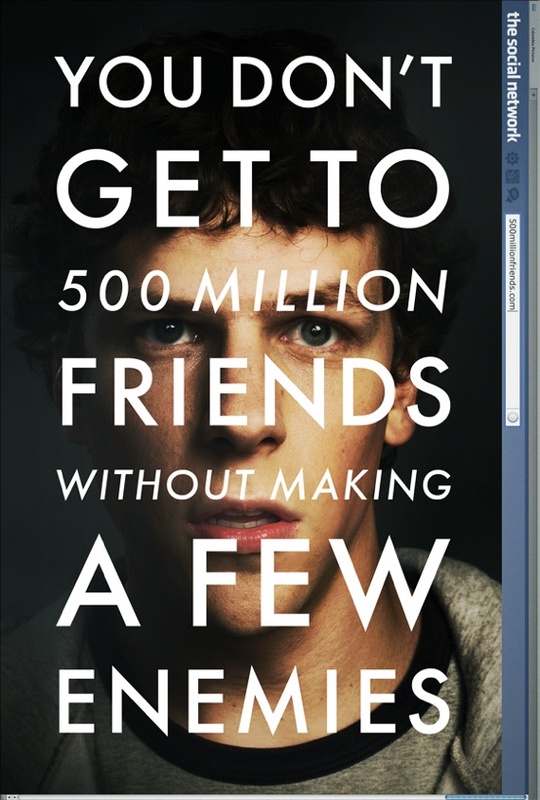 The fall movie season kicks off in earnest with the release of David Fincher and Aaron Sorkin’s first collaboration, The Social Network, which stars Jesse Eisenberg as Facebook founder Mark Zuckerberg. Read my review over at Film Journal. The 48th edition of the venerable New York Film Festival kicks off today with the world premiere of David Ficher and Aaron Sorkin’s highly-anticipated collaboration, The Social Network, which tells the (almost) true story behind the founding of Mark Zuckerberg’s omnipresent social networking site Facebook. It’s a major get for the NYFF, which in past years has opened with more art-house friendly fare (like last year’s opening night screening of the Alain Resnais film Wild Reeds. I’ve seen The Social Network and have written a review for Film Journal, which will most likely go live next week. The short version of my positive notice is that its an enormously entertaining production, a movie where all the elements–script, direction and cast–come together to create a memorable whole. I’m not ready to hang the “masterpiece” label on the film, but it’s unquestionably one of 2010’s strongest studio-made movies. I’ve had the opportunity to catch a number of other films that will be playing the NYFF as well and will be seeing more in the weeks ahead. Expect to see regular capsules posted here as I get them written. So far, it’s been a strong line-up; while I’ve liked some movies far more than others, I have yet to see a genuine dud. Hats off to the festival’s selection committee and I hope New York residents are encouraged to pick up whatever tickets remain for some of these films. (The Social Network is already sold out, but I heartily recommend LennonNYC and Uncle Boonmee Who Can Recall His Past Lives, both of which will screen this weekend.) First NYFF capsule coming up right after this post. NYC Film Critic is powered by	WordPress 4.2.23 and delivered to you in 0.198 seconds using 34 queries.